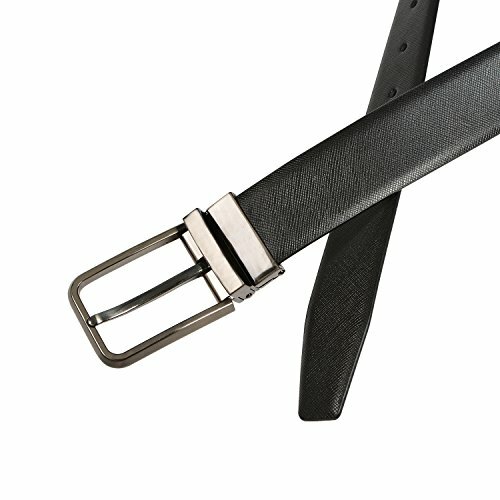 Our GSG Men's Reversible leather belt is made of genuine cow leather, which is soft and comfortable. Our belts can be reversed to black/brown for casual or business occasions. Classic gunmetal tone buckle makes you look tough and stylish. It is great to wear with your jeans or cargo pants. Can also fit well with your suit or any business clothings. Extremely sturdy constructed to be tough enough and everlasting! The nice gift packing is ideal surprise for your husband, boyfriend, dad, fiance, or other friends. Genuine Leather Belts are perfect for Thanksgiving, Christmas, Birthday, Anniversary, New Year, and etc. Made of Genuine Top Grade Cowhide Leather, Soft, Smooth, Comfortable and More Durable. 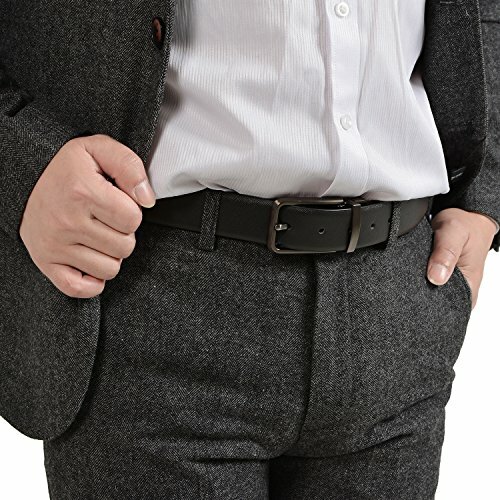 Buy 1 Got 2 - Trendy Reversible Metal Buckle Belt, Suitable for Both Casual and Business Outfit. 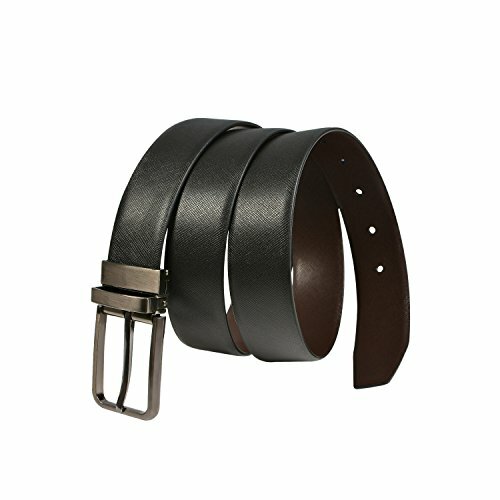 Classic Leather Belt with Gunmetal-tone Buckle, Fit Great with Your Suit, Jeans, Pants, and etc. 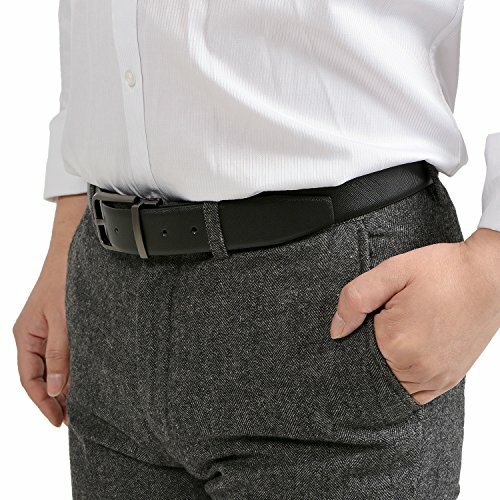 Black and Brown Reversable Belt, Cuttable to Size. Great for All Seasons. Well Constructed to be Sturdy and Everlasting! Nice Gifts for Thanksgiving, Christmas, New Year, Birthday, Anniversary.